An 83-year-old retiree, struggling to meet the costs of paying for care for his wife, has seen his state pension slashed by almost £1,000 a year – one of potentially thousands of retired workers who are facing cuts to their state pension after overpayments were uncovered during a government drive to clean up old records. 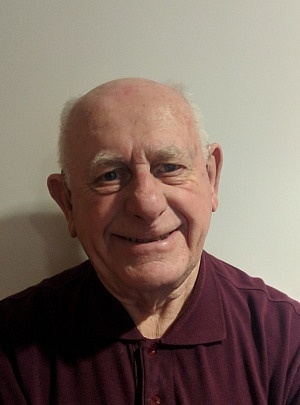 Denis Davis, from Bushey Heath, was contacted by the Department for Work and Pensions (DWP) last year and told that he had been paid too much state pension over a two-decade period, due to incorrect information supplied to HMRC by his company pension scheme. And many more state pensioners could find themselves in getting similar letters this year, after a ‘reconciliation service’ launched by HM Revenue & Customs (HMRC), designed to help companies match their employees’ pension savings and employment histories held by the government, concluded in December 2018. HMRC relies on this data to ensure that it pays out the right amount of state pension to people who where ‘contracted out’ of the additional state pension. After matching their data with HMRC’s, some companies have discovered that they’ve been overpaying pensions to their members. This has resulted in retired workers having their state pension payments cut. Here, we reveal the impact that state pension cuts are having on retired workers and how you can check your entitlement. What was contracting out of the state pension? In 1978, the government added a second-tier top-up pension, in addition to the basic state pension. This was originally called the State Earnings Related Pension Scheme (Serps) and in 2002 became the State Second Pension. Before the state pension reforms were introduced in 2016 employees were allowed to ‘contract out’ of this additional pension. This meant that both employers and employees paid lower National Insurance contributions. Employees gave up the additional state pension in exchange for a higher private pension. This usually applies to members of a defined benefit pension scheme, which provides a guaranteed income after retirement. In 1988, the government extended this to included defined contribution pension schemes and personal pensions. These schemes invested contributions from both employers and employees to provide a pot of money for retirement. Employers, which saved money by paying lower National Insurance, had to promise that the extra private pension employees received was at least equivalent to the additional state pension they would have got if had remained contracted in. This is known as the ‘Guaranteed Minimum Pension’ (GMP). The single-tier pension was introduced in April 2016 and the previous system where you could ‘contract; out of paying full National Insurance was scrapped. Find out more: what was contracting out? Why are state pension payments being cut? HMRC holds data on everyone who has a GMP. When the state pension is calculated, the GMP is deducted from their entitlement. However, the information that companies hold on GMPs dates back almost 40 years, which means errors in calculations can creep in. As a result, when company pension schemes match up their data with HMRC’s, they could find that they may have overpaid, or underpaid, certain workers using incorrect information. Let’s take an example. Say your company pension scheme paid you a GMP, but it was not correctly recorded. As a result of this, your state pension entitlement would end up being higher, as no deductions were made to account for the GMP that you received. In 2016, HMRC launched a free two-year reconciliation service to enable company pension schemes to match their employees’ pension savings and employment histories against those of HMRC. Where companies found that you had been overpaid state pension, your future payments will be adjusted to the correct level, taking your GMP into account. 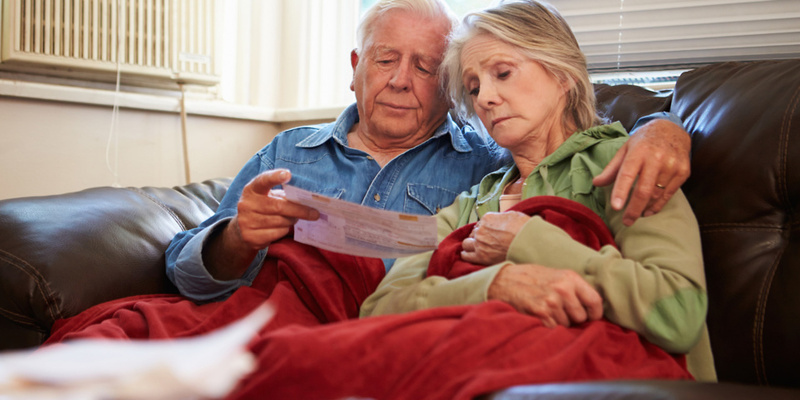 While past state pension overpayments won’t be claimed, the Department for Work and Pensions (DWP) will readjust future payments meaning that a number of retired workers could face cuts to their existing entitlement. A spokesperson from the DWP said: ‘Any reduction and overpayment of State Pension (due to an increase in the GMP) is also likely to trigger a corresponding increase in the amount of occupational pension the individual receives, as it is also dependent on the amount of the individual’s GMP. Denis Davis, aged 83, from Bushey Heath, worked as a technical manager and was contracted out of additional pension between 1978 and 1997. He eventually took retirement in June 1998. In August 2018, however, he received a letter from the Department for Work and Pensions (DWP) informing him that following a reconciliation with HMRC, he was found to have been overpaid state pension. As a result, they would be reducing his pension payments with immediate effect. Mr Davis contacted his company’s pension scheme to get more information about why his state pension was changing. Although it offered to look into his case, it was unable to give him any further details about where mistakes on his records could have come from as the contracting out system was too complicated and dated back such a long time. Denis then contacted the DWP to see whether or not he had grounds to appeal the decision. It informed him that because its National Insurance records had been verified, it would not be possible for him to challenge the decision based on his personal circumstances. According to the DWP’s records, Denis was overpaid £13,000 in state pension, which it will not be reclaiming. The reduction in his state pension payments moving forward, however, will impact his retirement income. ‘I do appreciate that if I’m getting too much state pension a correction must be made but I feel like a decision was made without taking my current personal circumstances into account. ‘The fact is that people of my age need this money seems immaterial to them. How many people face having their state pension cut? HMRC’s two-year reconciliation service concluded in December 2018, however, the total number of people who may see a reduction in their state pension remains unknown. Experts have previously estimated that tens of thousands of workers could have their state pension cut. HMRC maintains that the pension reconciliation process was effective and assisted companies who opted to check their records. ‘The Scheme Reconciliation process was a voluntary process for schemes to participate in and HMRC have consistently informed all of the schemes that reconciliation would end in 2018. It did not state how many people have been contacted about changes to their state pension payments. Pension experts believe that the government should not be trying to reclaim overpayments. Former pensions minister Sir Steve Webb told Which? Money that ‘this is a hideously complex system and it is very unfortunate when records are checked and it turns out that someone is being paid more state pension than they are entitled to. ‘It would be quite wrong for the government to try to claw back past overpayments, when the mistake is clearly not the member’s fault. How do I check my state pension? To check your state pension entitlement you’ll need to get a state pension forecast. To do this you’ll need to use the state pension forecast service ‘Check your state pension‘, which is available on gov.uk or via the Personal Tax Account. Further details about your state pension breakdown can also be provided by the Future Pension Centre of the Department for Work and Pensions. Check out our comprehensive state pension guide for more information and advice.